A vote by the United Nations Security Council to condemn the construction of Israeli settlements in the West Bank was postponed on Thursday. 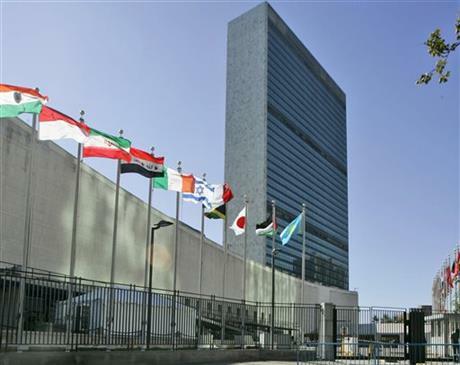 Western diplomats at the UN said Egypt postponed the vote after circulating a draft of it, the Wall Street Journal reported. The U.S. State Department would not say on Thursday how it would have voted if the measure did come before the council, although reports say the Egyptian draft was similar to past measures the United States has supported. The wording of the draft resolution closely reflects the views of the peace-negotiating group known as the Middle East Quartet, which issued a report in August calling settlement construction an obstacle to peace and urging its end. The Quartet is composed of the U.N., the U.S., Russia and the European Union. Israel has expressed its opposition to the resolution. Israeli Prime Minister Benjamin Netanyahu said the measure was "anti-Israel" and requested the United States vote against it. Palestinians have hoped a measure condemning Israeli settlements would appear before the Security Council soon, as they expect a Trump administration to side with Israel. Trump's nominee for ambassador to Israel, David Friedman, has said he would move the U.S. Embassy in Israel from its current location in Tel Aviv to Jerusalem. This would upset Palestinians who view this as a move to deny Palestinians any part of Jerusalem. This entry was posted in National Security and tagged Egypt, Israel, United Nations. Bookmark the permalink.